Ceramic nonstick surface, inside and out, for stick-free cooking and easy cleaning. Big 16-inch base with high sidewalls provide extra cooking and serving capacity. Luxurious styling and tempered glass cover enable skillet to double as a buffet server when entertaining. 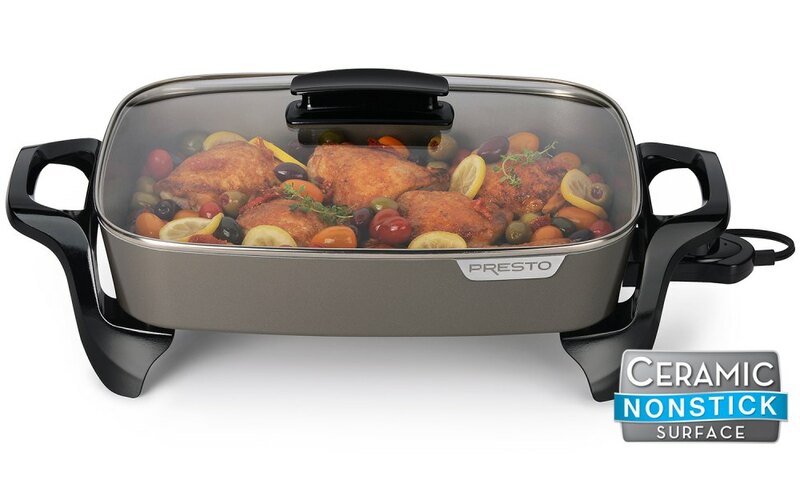 Ceramic nonstick coating, inside and out, for stick-free cooking and easy cleaning.